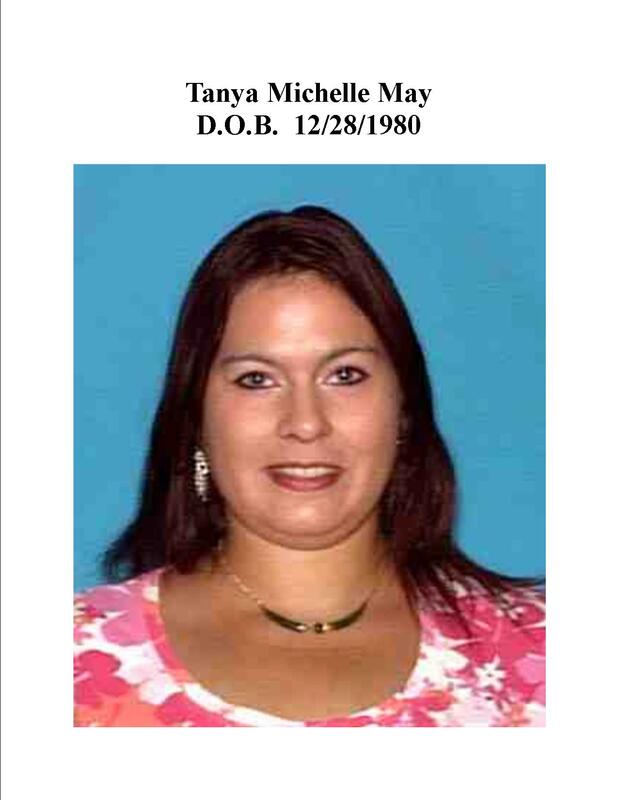 On September the 27, 2007 the body of Tanya May was discovered approximately 15 Miles North of Fort Stockton off of FM1053. Tanya was last seen in Odessa on September 17th and reported missing by her boyfriend on September 18th. Tanya`s body was discovered under a mesquite tree approximately 50 ft from an oil field road. Her body had been stabbed multiple times and appeared to have been drug from the dirt road in an attempt to conceal her body. If you have any information regarding this case or spoke with Tanya within the dates listed above, please call the Fort Stockton Crime Stoppers or send a secure Web Tip. A $2,000.00 reward is being offered for information leading to the arrest and conviction of the person or persons responsible for her murder.